He's also referred to as "Ikemen Three Mens" along with Inoue Satoshi. Yeah, "three" but the article only mentions two. .... he even got her cell phone address. Lucky guy. I picture a slightly husky cleaned-up wota-looking guy doing the voice. He wears glasses. It's not necessarily about him having her number, rather that he managed to obtain it from her. Aka-chin: "Hey Ai-chan, lets discuss gags that we can use on future episodes of haromoni@~! Mind if I have your number?" Not really what I was going at. The fact that Takahashi is a member of Morning Musume is what makes it suspicious. Giving out your number to a popular comedian isn't an everyday thing for the girls as they're not allowed to have boyfriends. He happens to be a co-worker, so if she wanted to, there's her excuse. Well, he is her co-worker, so I don't see a problem with exchanging phone numbers. Of course with this being H!P and MM, the normal rules don't apply. It was pretty obvious since the beginning Aka-chin liked Ai-chan. He always let her win and talked to her the most. I can't believe management didn't stop the romance before it got out of hand (read: splashed in tabloids). I just hope she doesn't have to graduate so soon. I really doubt it's a romance because the paper has zero evidence. Having the phone number of a co-worker is not dating. 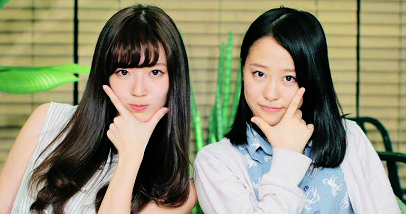 UFA/H!P know they need Ai-chan in MM right now...the current line-up needs a decent amount of settling time. Dear god, I'm not the biggest Takahashi fan, but if she is dating and she gets chucked out, Momusu is in trouble. I get frusterated that she gets so many lines but I think we all know she is one of the best vocalists in the group currently and her suddenly disappearing will really change the singing quality of the group. ._. Hopefully this is a rumour. So given that we still haven't heard anything else, and the gossip was well over a week ago... we don't have to worry about Takahashi leaving with a scandal. 10 milion yen is about 88,427 US Dollar or 64,186 Euro. The poster on 2ch says the source is Shukan Gendai. So, according to that, MM members are making on average 221,019.58 US $ a year each? And Matsuura is making 310,000 US $ a year? Nice!!!! ^Hella win. Cool that Mari still makes big moolah. Ayaya is making HELLA BANK! Well, I remember Sanma on Young Town Doyoubi before Miki 's resignation, she was talking about shopping and saving the little money she had, and Sanma said he had documents and proof that MM was among the best paid acts in Japanese entertainment, so he scolded Miki for lying about making little money. Page created in 0.544 seconds with 20 queries.